For over 20 years, Alamo city truck service technicians have taken pride in delivering quality work and superior service to our customers. we know a broken truck or bus means lost revenue and headaches, so we get the repair or service done as quickly as possible, while delivering quality work. we don't take shortcuts, so your truck or bus is returned to you working right and operating safely - the first time. 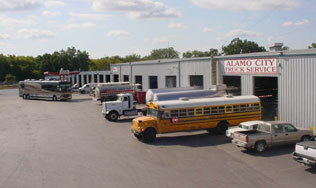 Alamo City Truck Service is a locally owned and operated facility that has serviced San Antonio and the Texas region since 1988. At Alamo City Truck Service, we offer service, repair, inspections and free estimates on all makes and models of any truck, trailer or coach made. With 25 bays and over 35 technicians at our shop, we have enough room and experience to assist you in a timely manner. Installation and repairs on all brands of liftgates and rail gates. All types of hydraulic installation and repairs. Degas tank or trailer for repairs. Mobile service and repairs at your location. Keep them rolling - no one enjoys a breakdown. Even worse, having to take your truck or bus off the road again after a repair fails. We pride ourselves on our eye for detail and quality workmanship. Period. Attending to the needs of our customers - A breakdown is rarely convenient. 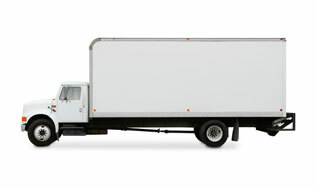 That's why we offer FREE pickup and delivery of your truck or bus. We are also open 8am till 8pm weekdays. Give us an opportunity to show you our superior service.